Former Olympian and four-category world champion boxer Roy Jones Jr. officially became a Russian citizen on Tuesday thanks to an executive order signed by President Vladimir Putin himself. In doing so, he joins the growing ranks of aging male celebrities who have publicly declared their loyalty to the Russian president. 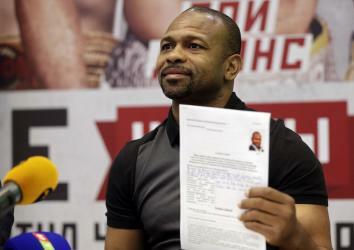 Boxer Roy Jones Jr. shows his application for Russian citizenship during a press conference in Yalta, Crimea, on Aug. 20, 2015. The former champ has fallen in stature a bit in recent years. Lately, he’s taken to fighting exhibition bouts in places like Latvia, Poland, and Russia, often accompanied by his own musical performances. But with his resume, Jones will fit in just fine among Putin’s Expendables-like cohort of international celebrity admirers. While Soviet Communism once drew the regard of idealistic but naïve American performers like Pete Seeger and Paul Robeson, over-the-hill machismo is the defining characteristic of the celebrities drawn to Putinsim. The trust between the two men is so great that, according to Max Seddon and Rosie Gray of Buzzfeed, Putin suggested to Barack Obama at a tense meeting in 2013 that he appoint Seagal as a special envoy to Moscow. A “flabbergasted” Obama declined. That same year, Seagal attempted to organize a U.S. congressional delegation to Chechnya, but the members involved, including Reps. Michele Bachmann and Steve King, apparently got cold feet at the last moment. 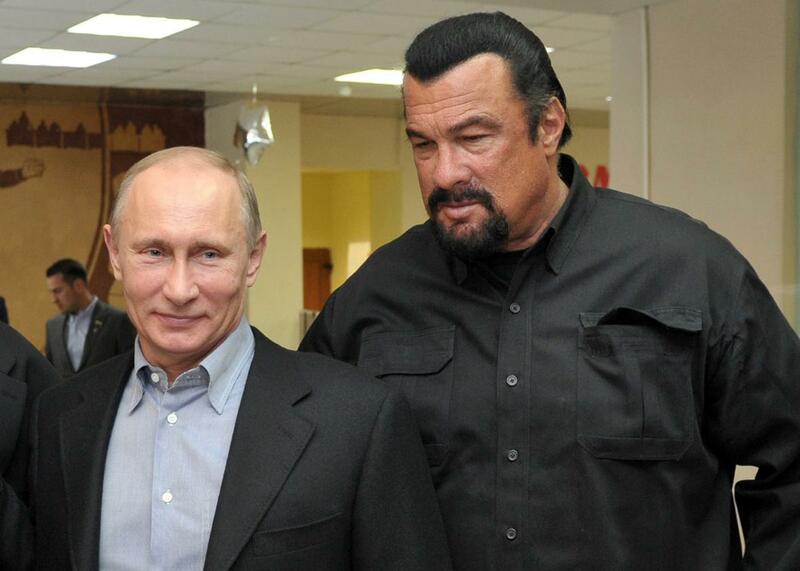 Seagal has said he is considering applying for Russian citizenship. 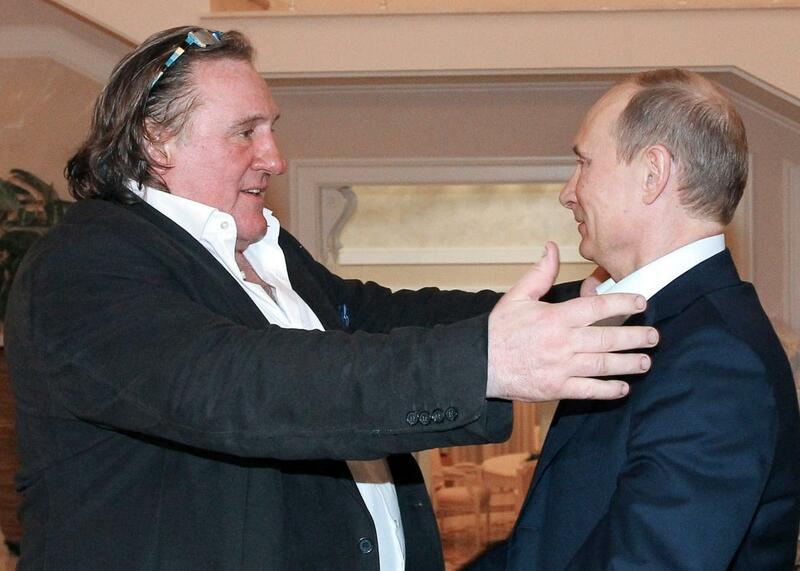 Putin greets Depardieu during their meeting in Putin’s residence in Sochi, Russia, on Jan. 5, 2013. “How Russia is portrayed in the media is far from reality, and I want to prove to everyone, that it’s really cool!” Durst continued in the interview. Since then, Limp Bizkit has received an invitation to perform from the “culture ministry” of Donetsk People’s Republic, the pro-Russian separatist enclave in Eastern Ukraine, and the band’s Russian tour manager has suggested they might swing by on their next tour. This is undoubtedly an odd list, but remember Putin is the leader of a fading superpower dismissed by many as a few years past its prime who has won public support by promising his citizens a return to greatness and global relevance. Perhaps it’s not so surprising that this particular set of guys are drawn to him. Correction, Oct. 29, 2015: This post originally misspelled Steven Seagal’s last name.